If you've just watched So You Think You Can Dance on BBC1 you can't fail to have loved the last Broadway number Sing, Sing, Sing which was choreographed by Bill Deamer. 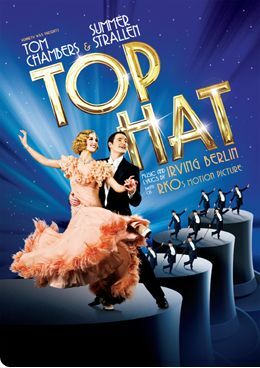 His routine encapsulated all the magic of the Astaire and Rogers Hollywood numbers which makes him the perfect choice as choreographer for the Irving Berlin musical Top Hat which starts touring in August. It has very strong cast featuring Tom Chambers, Summer Strallen, Martin Ball , Vivien Parry and Ricardo Afonso which means that a West End transfer early next year is highly likely.